Guess the year, make and model. 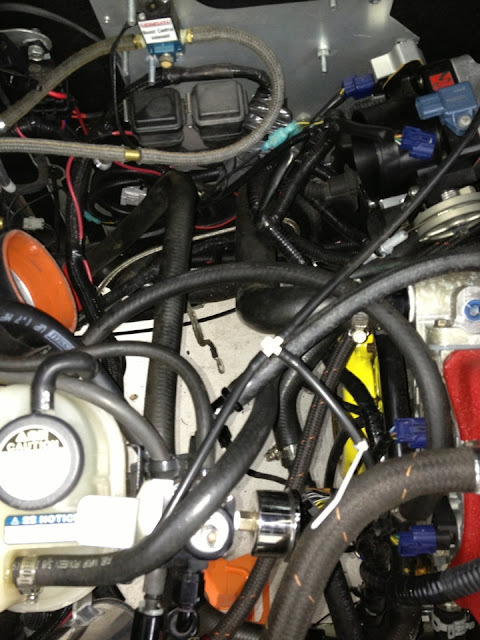 Bonus question: Locate the boost control, fuel swirl pot, coolant, vacuum lines, catch cans, and throttle cable. Advanced question: If you have found all of the above, find the Easter bunny hidden in the picture. lol - you might want to wipe the picture file name first. Or is the make and model in it meant to throw us off? LMAO, major FAIL!! Next time I'll call it "secret car".